Just as craftsmen and designers were concerned with a cohesion of decor and simplicity of style inside of the home, so too were they concerned with a house's exterior appearance and setting. And as the Arts and Crafts Movement was concerned with spiritual connectivity with one's surroundings -- both natural and manmade -- it made sense that the perfect home would compliment the environment and provide a space to cultivate inner peace away from the urban factories where many people worked. The "Zen-ness" of the Arts and Crafts Movement made the style far more complex and encompassing than preceding design ideas. It had a sort of mysticism in Nature that appealed to those who lived outside of the American religious mainstream, but its spirituality, humility, and order also agreed with the teachings of orthodox Catholicism. The uniting factor was the idea of harmony with nature on a physical and transcendental level and of relating life to the vast cosmos. It is this theme, above all, that was the inspiration for the beautiful architecture and design that still speaks to us today. As unconventional as that idea may have seemed, it was not difficult to practice, especially when coupled with another popular theme: Hearth, home and family. Throughout the early and mid-1800's the majority of American architecture had been derived from classic European forms. There was the Victorian style everyone is familiar with, but also the Italianate, Gothic Revival and even Egyptian Revival in America. The post-Civil War era from 1865 to 1900 saw many styles of architecture battling it out for national prominence. The result was a visual hodgepodge that reflected the nation's own unsettled culture. Often, features of several different styles were incorporated into one structure. The culmination of this practice became known as Queen Anne style. Often lumped into the broad Victorian category, Queen Annes were a visual feast that, while not altogether unpleasant, could be quite overdone. The Queen Anne style played on contrasts, including a mix of architecture, materials and color. It is also noted for its extensive use of exterior decoration in the form of turrets, wrought iron, spindles and "gingerbread" patterns. It is this emphasis on strong visual contrasts and ornamentation that architects William Morris, Frank Lloyd Wright, Gustav Stickley and Greene & Greene rebelled so strongly against. By the mid-1880's, with the ideas of the Arts and Crafts Movement beginning to infiltrate the U.S., a more natural architecture evolved from the Queen Anne. New England's Shingle style incorporated many of the exterior features of Queen Annes, however, ornamentation was greatly reduced and the overall look was much tamer in general. Instead of a contrast of building materials, Shingle style homes were covered with wooden shingles. Occasionally, roughhewn stone was used for porch columns, but the color and coarseness was used to compliment the natural texture of the wooden shingles. This use of local building materials, along with the unity of surface texture and material was a first step toward achieving the Arts and Crafts architectural ideal. Shingle style was, for the most part, a local style limited to New England, but its design direction was felt in other parts of the country. For instance, in the Mid-Atlantic and Midwestern states where wooden shingles were not appropriate because of harsher weather conditions, simple square homes constructed entirely of brick instead of shingles were introduced. 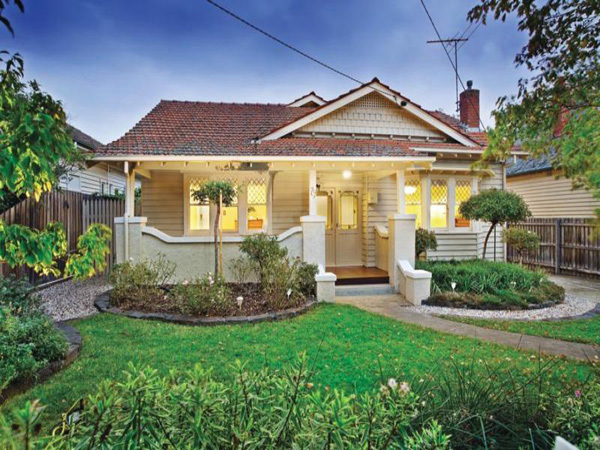 As the 1890's advanced, these homes, known as American foursquares, became quite popular. Foursquares were very straightforward and "to-the-point." There was no frivolity, just function. These homes consisted of a two-story square brick frame with an enormous pyramid-shaped roof concealing a third floor. One of the outstanding attractions of this style was the unusually large third-floor dormer with wide eaves. While bungalows and prairie homes are most often associated with the American Arts and Crafts Movement, Craftsman homes and foursquares were an important East Coast style until about 1920. And if the style doesn't seem an obvious fit with the Movement's back-to-nature ideal, it should be noted that its structural simplicity was necessitated by the local environment. The frugality of this style was perfectly suited to cold Northern winters where heat retention was important. The upright, square design and open floor plan centralized heat in the winter, while the broad front porch extending the width of the home offered summer outdoor space. All of these styles -- California bungalow, American foursquare, Craftsman and Prairie -- incorporated similar interior features such as open floor plans, beamed ceilings, an abundance of woodwork and windows, stained and leaded glass, built-in bookcases or cabinetry, and of course, a fireplace. The overall effect was enveloping yet open. The dark wood and simple hearth conveyed coziness while the many windows flooded the rooms in natural light, thus bringing the outdoors into the home. Despite these similarities, one cannot overlook the importance and influence of bungalows -- the truest form of American Arts & Craft architecture. 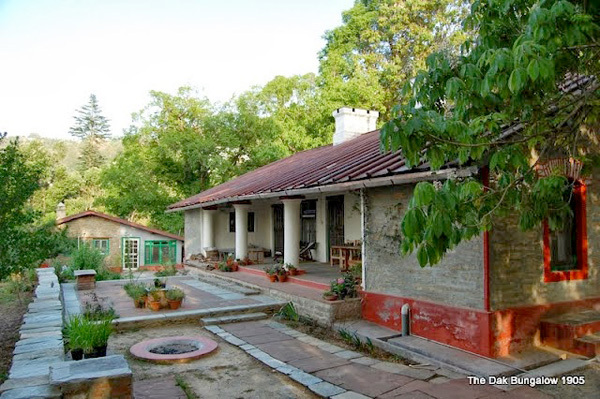 The term "bungalow" can be traced to 19th century India, where the British coined the word to designate one-story homes with a large encircling porch. 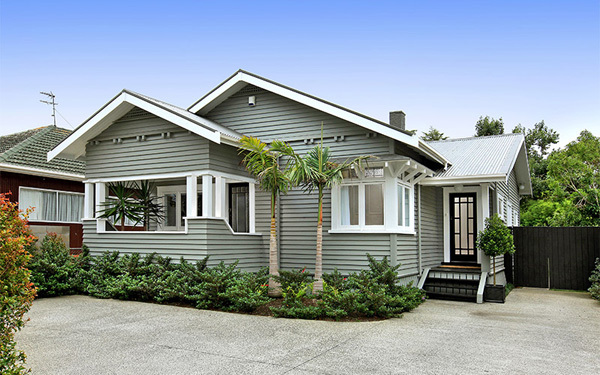 The California bungalow followed the same concept, but embellished the style with less exotic European design elements. The earliest American examples of the bungalow were the small, one-story Queen Anne-style cottage, which were built in profusion in California during the 1880's and '90s. As Craftsman ideas traveled westward, the Queen Anne influences were dropped in favor of less ornate Craftsman, Stick and Japanese design elements. 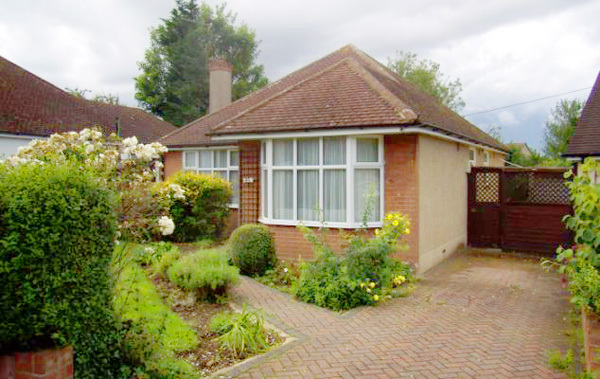 Bungalows that best exemplified the Movement's philosophy were well crafted, and used materials left as close as possible to their natural state. Cobblestones were used in foundations and broad chimneys while the rest of the home was constructed of wood or shingles in a natural shade of brown. The long pitched roof displayed exposed rafters or braces along its wide eaves and there was an abundance of outdoor space consisting of a broad front porch as well as a rear patio with a pergola. The front door opened directly into the living room, which in turn connected to the dining room. Often, the two rooms were separated only by a half wall. As in all Arts and Crafts-style homes, the fireplace was a prominent feature and special attention was paid to the location and construction of the hearth. Like the rest of the house, the fireplace was to be utilitarian and was built of local stone or clinker brick, but in more affluent homes the fireplace would sometimes be embellished with decorative tiles and mantles. 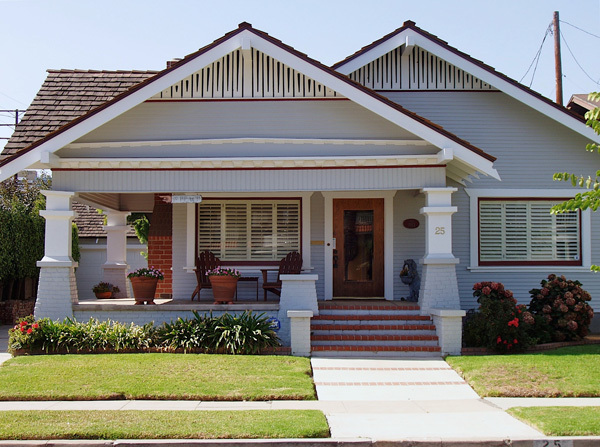 Although bungalow styles spread across the U.S., and while Craftsman style was a popular theme during the early 20th century, it was not the only design trend prevalent in the country at the time. English cottages and Tudor homes continued to be built and America never truly turned its back on European revival styles. This was especially true in the East and Midwest where bungalows were not as practical. Frank Lloyd Wright, one of America's founders of Arts and Crafts architecture and the premiere designer of his day, set about creating a style especially suited to his Midwestern roots. He and fellow architects George Maher, William Purcell, Walter Griffin (to name a few) sought to create buildings that reflected the flat rolling Midwest prairie -- the Prairie Style. Prairie Style was predominately a home architectural style distinct to Illinois, Iowa, Minnesota and Wisconsin, and especially the Chicago suburb of Oak Park where Wright lived. These two-story homes had a very horizontal appearance with an almost flat, broad hipped or gabled roof and wide overhanging eaves. This geometric look was enhanced by a large, plain chimney and straight walls that met at 90-degree angles. In keeping with the feel of the landscape, light-colored brick and wood was used to imitate the sprawling Midwestern wheat fields. Prairie style had a short-lived life, beginning in 1908 and lasting less than 15 years, but its distinctive look earned it critical acclaim and Wright continued to incorporate its features in his designs for the rest of his life. As the Arts and Crafts era came to a close, about the time that World War One ended in 1918, America looked longingly at the "good old days" when (supposedly) the world was less tumultuous. Part of this romantic look backward was seen in a renewed interest in European revival architecture. As the 1920's passed, modified bungalows continued to be built, but the major emphasis was on a variety of old-style European architecture, which became know in America as Period homes. 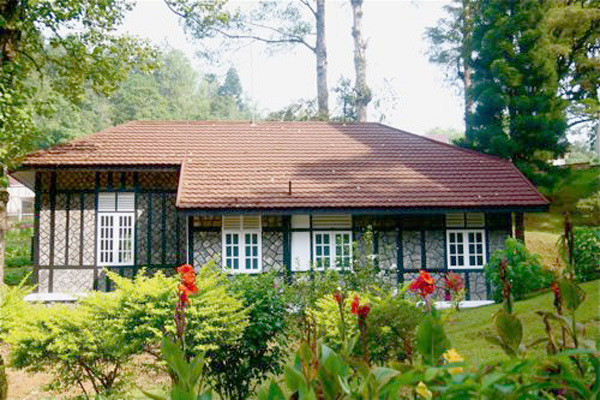 Versions of the quintessential bungalow exist across the globe. Although there are regional variations, they all maintain a cozy feeling. Designer and architect Gustav Stickley a bungalow was a house reduced to its simplest form, one that "never fails to harmonize with its surroundings because its low broad proportions and absolute lack of ornamentation give it a character so natural and unaffected that it seems to blend with any landscape. It is beautiful because it is planned and built to meet simple needs in the simplest and most direct way." Photo: Classic foursquare, 1920, Sacramento, CA. Source: Kerrie Kelly.